Anomaly Group provides one of the most effective systems for communicating health and wellbeing with pupils, parents, and teachers. We deliver informative content into schools to better educate about children’s physical and mental health. Using a mixture of information and exercise, we deliver topics such as healthy eating, bullying, internet safety, and mental health. The Anomaly's production team develop content to target key health and well-being issues throughout the year. Using the schools noticeboards as a platform, Anomaly tries to encourage children and young people to take responsibility for their own health through their diet, fitness regime and dental care. Anomaly is proud of the mental health content displayed on our screens. The school environment can have a significant effect on a young person’s mental health. Anomaly provides content that equips children with the understanding they need to process their mental health and the compassion they need to help others. With OFSTED now assessing the extent to which spiritual, moral, social and cultural development are promoted in the schools, education leaders can support the fulfilment of these criteria by joining our community to share with and learn from other schools throughout the UK. We provides schools with an innovative and sustainable way to utilise thier sports premium. Our unique, indoor / oudoor system can help schools, community cohesion, global citizenship and parent communication, whilst addressing the important issues in young peoples daily life. The content is broadcast into the school using the technology you already have such as interactive whiteboards, overhead projectors or ordinary TV Screen’s, information can also be displayed on the schools website for parents to see or on our purpose built external units. KIDZ BOP is coming to the UK this spring! They’ve unveiled the first-ever group of British KIDZ BOP Kids! After a nine-month nationwide search, four young stars have been chosen – Ashton, Lois, Max and Twinkle! Their videos are now available in your Anomaly content library. Just Search Kidzbop. Schools share a world of adventure, creativity, and opportunity for their pupils in this digital landscape which is their very own to design, build, share and explore. 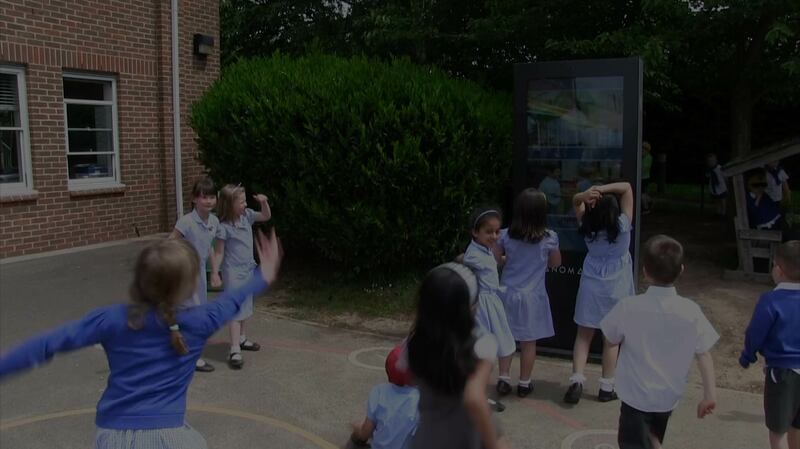 To find out more about incorporating the Anomaly outdoor screens, digital signage, digital noticeboards or green screens with your school’s existing infrastructure, please get in touch with a member of the team who will be more than happy to help.